The Premiere for the movie 10 Days In SunCity held yesterday Saturday 17th and saw several top Nollywood folks in attendance. Present at the event included Nollywood pair Banky W and fiancee Adesua Etomi with Osas and Gbenro Ajibade whom all showed off their fashionista side as they stepped out in style for the event. 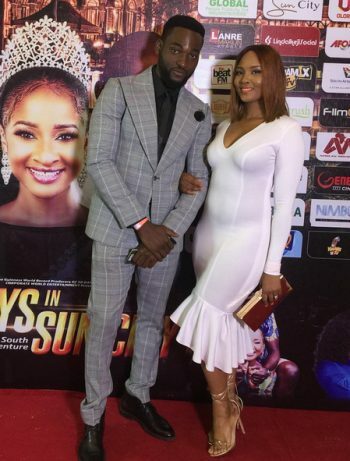 0 Response to "Banky W, Adesua Etomi, Osas & Gbenro Ajibade With Chike Ike Look Fabulous At 10 Days in SunCity Premiere"